asus contests indiblogger t100 transformer Now, it's time to transform! I waited at platform number 5 at the Dadar railway station in pursuit of the Pune bound Intercity express. Today was an important day in my life. My writing career was going to take a new turn. It was a new beginning for a new career. Pune has been such a lucky destination for me. I met my lady love at the same place during my college days at MIT, Pune. I befriended her and we both fell in love and later tied knots and promised a live full of love and togetherness. A well known Publishing house in India had accepted my manuscript and had invited me for a discussion at their headquarters in Pune. This news came out as a big surprise at first. The train finally arrived in time. I boarded the AC compartment where my seat was allotted. I looked around and hunted for my seat. "Ahh! 76" I sighed and sat on my seat. Over 1000 butterfies were fluttering inside my stomach. My happiness grew no bounds as the train cascaded through the rails. "Sriram!" I heard someone calling my name. I looked behind and saw that it was my cousin Karthik. "Oh Kaduvulle! Karthik long time daa," I said to my cousin brother and hugged him. It seemed he had moved to Mumbai. "So back to Mumbai?" I curiously asked him. "No daa...going back to Pune to resume work," he said with a smile. He soon swapped his seat with an old man sitting next to me. "So hows Chithi and Chithappa?" I enquired about his parents. "They both are perfectly fine. What about Periyamma, Periyappa, Anu and Parul?" "They all are good. I have a good news. You are going to be a chachu soon" I said. "Oh wow! convey my regards to Parul, da!" he said and removed a tab from his backpack. Mumbai to Pune is 4 hours journey and sometimes I wonder how could one utilize most of his time during this impatient journey. I was a banking professional who quit my job to feed my passion which was writing. Parul was equally supportive in this as she knew me from my young days. I shared my purpose of visit to Pune with my cousin Karthik. He was very happy. He turned on his tab and launched FIFA 2014 game. "Isn't this the same game we used to play during our young days? " I curiously asked him. "Haha! No that was FIFA 1998 and those were the days of Zidane, Beckham and Figo and today they have Messi, Ronaldo and Rooney," he said airily. He handed me his tab. I didn't miss a chance to scrutinize his tablet. It was very user friendly. The usability factor scored full marks and the touch was smooth. I played a soccer match between Arsenal and Chelsea and of course I made my favourite team victorious. I was impressed with the product at our first encounter. I was thoroughly enjoying it. At the same time, my cell phone beeped. "Anna, pls complete my assignment please." I read a text message from my Sister Anu. I didn't even had my laptop. It was practically not possible to complete her assignments. I said this to Karthik and he suggested me something. He quickly opened his bag and took out his tablet's keyboard dock. "Oh wow! this is so cool,"I said. He attached his tab to the keyboard. "Look, an ultraportable laptop is here," he said and handed me his notebook. "Take it and complete Anu's work," he said. "Wow..this tab has a keyboard too...this is amazing!" I said. I soon connected the pen drive to the USB drive which was USB 3.0. The filed got copied at a faster speed. I soon opened the PowerPoint file of hers and completed it within 25 minutes. But by then the train had reached Karjat. I copied the saved project back to the pendrive. Karthik gave me a quick tour of his Asus T100. I seemed to have fallen in love with his gadget already. This gadget had almost every thing that would keep you hooked to it. Everything on the go! Imagine sitting inside an express train and chit chatting with your cousin and you get all your work done through the Asus T100. Isn't that amazing? Then Karthik showed me his latest music and Movie collections.Though his T100 had a capacity of 64 GB, he had a pretty decent collection. He also shared few of his collection to my pendrive. The gadget was compact and the metallic keyboard dock was robust. It was well equipped with windows 8.1, inbuild USB 3.0, preloaded MS Office and Student 2013 with a variety of useful applications. "Karthik, today is 5th June and I witnessed an amazing product today, thanks da!" I said to my cousin. 5th June reminded me of 6th June which was my parents 30th marriage anniversary. Karthik asked me to make their day special by ordering them gifts online. But by then the train had already reached Lonavala. I got a call from the publishers. They wanted a slight change in the manuscript and asked me to submit it within 35 minutes or else they would reject my manuscript. I informed this to Karthik. He soon connected his ultraportable laptop to internet by connected his internet dongle. I downloaded the manuscript word file from my mail account to his laptop and started editing it. "Lets transform the world.Transform the bad to good. Transform the dirty to clean. Transform the filthy to pure. Transform everyone and everything here. Be smart! Smartness is what the world wants. Johnson was a smart guy who played safe and eventually transformed everyone around him. He walked over the thorns and converted them into rose petals. Such was the magic of this transformer!" I thanked Karthik for all his efforts. 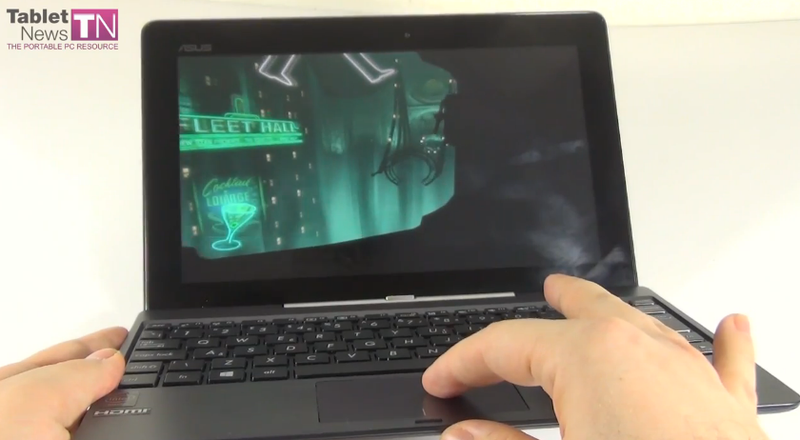 "Say thanks to Asus Transformer T100!" he said and chuckled. "Yes if this gadget was a living thing then I would have thanked it....thanks Asus Transformer T100." The train had reached Khadki. It was where Karthik had to get down. "Dude..I bet your stylish tab must be eating lots of battery?" "Are you mad?" he said as he was packing his stuffs. "This gadget has a battery life of over 11 hours which is more than my daily work hour," he added. I invited him at my home and he finally bid me adieu at Khadki. The Publishers decided to go with my story and I was already excited for this. Parul would be excited too! That night I couldn't stop thinking about that particular product by Asus. It came in front of my eyes. I decided to buy Asus Transformer T100. It was time for transformation. Time to transform into a smart human! This product by Asus allows you to do everything and get hooked when you're on the move. Lately I even realized that Karthik was even coding on his ultraportable laptop by connecting to Sonicwall, the VPN client. The next morning a big surprise awaited us. The courier person came knocking at our door to deliver 3 gifts. Yes, it was my parents anniversary and also it was my birthday too! A Kanjivaram saree for Amma, a royal Titan watch for Appa and an Asus Transformer T100 for me! Woaaa! It was indeed a special birthday gift. Later that day, I skyped with Karthik and he asked me about the surprise gift. It was then I realized that all those gifts were send by Karthik. I liked it to the core! This was the best birthday surprise ever! These are the things that keeps me hooked to technology even when I am on a move. Chatting, Playing games, writing story on MS Word, shopping, writing codes, video calling with friends and many more things that I love to do! Use it as a tablet or attach it with a keyboard and use it as a laptop. Your needs simplified! This is a smart product. Asus TransformerT100 is one good gadget that will suffice all your needs and get you hooked to it. Best wishes for the contest! May you win!